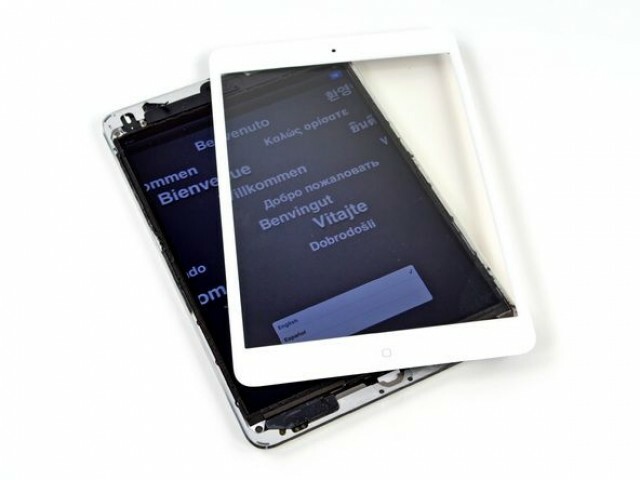 Which iPad Mini 2 Retina Display Screens To Go Under Mass Production? You are here: GeekSays Technology News » Apple » iPad News » Which iPad Mini 2 Retina Display Screens To Go Under Mass Production? Apple sources are once again on high pay-roll with iPad Mini 2 launch rumors. Just a day ago, we learned that Apple might be readying up to iPad Mini updates for this year. While one iPad Mini 2 update to come later this year, while other to follow the steps of launch in Q1 of 2014. The late 2013, iPad Mini 2 update was supposed to be carrying hardware update in the mini-tablet but without most demanded Retina Display screen, and the earlier 2014 update will carry the mini-tablet with Retina Display. But it appears things are little change here with the original story. Analyst behind the claims of two iPad Mini updates theory this year, comes up with another report. It is reported that Retina Display screens for iPad Mini 2 updates are underway, and soon will enter in the mass production from display component suppliers of Apple. The Retina Display screens are rumored to go under mass-production in June – July time frame, which suggests that late 2013 iPad Mini update will be carrying a Retina Display screen. The similar time frame is also highlighted by well-known accurate KGI Securities’ analyst, Ming-Chi Kuo. Apple is reportedly moving away from the Samsung for iPad, iPhone and other iOS devices components. Apple is again and again reported to be exploring more ways to get its component ready for the device. Samsung has already made it clear that Apple is killing its line with Samsung, and letting the company to survive through this business black-lash after numerous lawsuits on flag-ship devices. Samsung, and Apple both will always be found notching each other in media. While it is said that LG Display is going to get a major benefit from Samsung & Apple fight. Sharp has already got number of contracts from Apple for the production of display screens for the upcoming iPhone / iPad devices. However, Apple is still highlighted as facing issue in getting ready the retina displays for iPad Mini and other iOS devices, because LG Display becomes a victim of fire incident in their production plant that stopped display panel production for many days. With Retina Display debut on cheaper version of iPad, the iPad Mini, Apple is believed to be going through rough time in making cheaper tag for the devices. The Retina Display panels are not going to come over on cheaper prices, and therefore there are chances that Apple may increase the price of iPad Mini 2 with Retina Display screens. At the end, I would like to raise my eyebrow on CNET’s report that initiated the two iPad Mini updates launch this time? We are just struggling to get more input on the two iPad Mini 2 updates. Which iPad Mini update Retina Display screens are going under mass-production? CNET, mind answering?